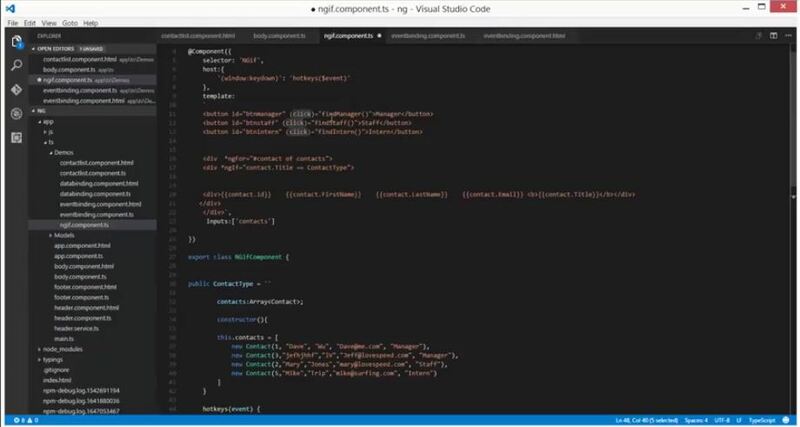 Here are about Angular 2 Keyboard Events to help you get started when creating your new single page web application. These 10+ examples and templates will show you how to create your own angular components that have key listeners (using events such as keydown and keyup) that trigger specific events on your app controller. 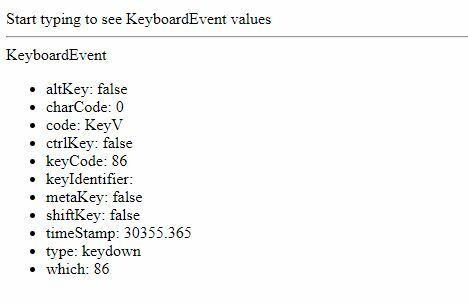 What is a keyboard event? To listen to the window for events we will use the HostListener API. This API allows us to register a special listener for events in the browser and then call methods in our components to react to them. In our example we have a simple counter component that can increment and decrement a value on the view. Our counter component will have two buttons. 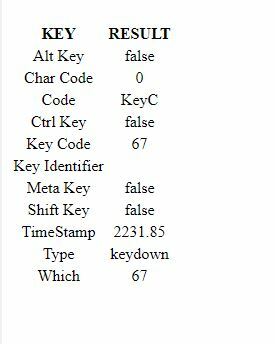 We will listen to the keyup event to be able to use the keyboard arrow keys for the component. A simple plunker demonstrating Angular2 usage: Uses SystemJS + TypeScript to compile on the fly and includes binding, directives, http, pipes, and DI usage. When a user interacts with your app, it’s sometimes necessary to know when this happens. A click, hover, or a keyboard action are all events that you can use to call component logic within Angular. That’s what Angular event binding is all about. It’s one-way data binding, in that it sends information from the view to the component class. This is opposite from property binding, where data is sent from the component class to the view. You can use Angular event bindings to respond to any DOM event. Many DOM events are triggered by user input. Binding to these events provides a way to get input from the user. To bind to a DOM event, surround the DOM event name in parentheses and assign a quoted template statement to it. This example shows an event binding that implements a click handler. Angular 2 Double Click (dblclick) event using the EventEmitter, a mother component receives the double click (dblclick) event from the child component when a user clicks twice on an element. Arguably hotkeys can substantially increase the usability of an application, the less the users have to touch the mouse the better will be their experience with the application. Luckily for us there is a very easy way of defining hotkeys on angular2, which is by adding a listener to the host component, we can accomplish this by just adding the element host to the @Component decorator. 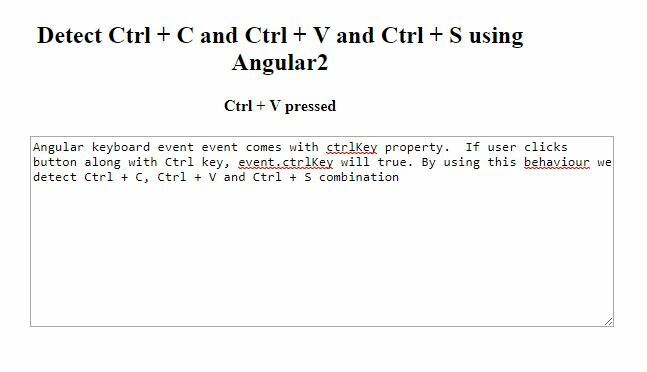 Angular keyboard event event comes with ctrlKey property. If user clicks button along with Ctrl key, event.ctrlKey will true. By using this behaviour we detect Ctrl + C, Ctrl + V and Ctrl + S combination. Angular 2 scheduling application that allows creating events from existing events using copy&paste. he actual possible key combinations vary greatly between browsers, as most browsers have a number of built-in shortcut keys, which can not be used in web applications.